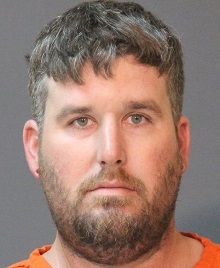 On November 21 the Calcasieu Parish Sheriff’s Office received a complaint from a local business in reference to a theft from a work site located on Houston River Road in Westlake. When deputies arrived they spoke with the complainant who stated there was a generator, worth approximately $1,200, missing from the work site. The complainant then advised deputies the generator had a GPS tracking system on it and he was able to pull up a location on Eddy Street in Lake Charles. Several minutes later deputies arrived at the home on Eddy Street and located the stolen generator in the back yard as well as another generator, which was also worth approximately $1,200. It was later learned the second generator found at the home also belonged to the same business but they had lost the GPS signal on it in March and did not know it was missing. 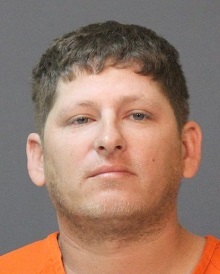 Two of the men living at the home, George Edwards, III, 31, and Joey P. Hanchett, 36, both of 213 Eddy Street, Lake Charles, were transported to the Calcasieu Parish Sheriff’s Office for questioning. After speaking with detectives, Edwards and Hanchett were arrested and booked into the Calcasieu Correctional Center and charged with theft $1,000 to $5,000. Both were released the following day on a $10,000 bond set by Judge David Ritchie. CPSO Detectives Ross Vartuli and John Coffman are the lead investigators on this case.